3 Is there a family friendly hotel in Las Vegas? 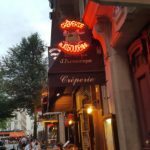 Our 3 days in Paris gave me the confidence to consider more city trips with my daughter in the future. 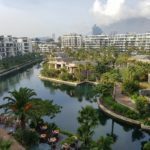 So I asked my travelling friends around the globe to tell me about their best city hotel for families in different cities around the world. Let’s have a look where we can go next! If YOU have amazing experiences with city hotels for families, please do let me know and I can add them to the list. This post contains affiliate links. Find out more HERE. If you are planning a trip to NYC with kids, then finding a family-friendly hotel is a must. Our family of 6 is travelling and living in a motorhome full-time around the USA, yet we still found that taking a city trip and finding a great hotel for a night in NYC to be a special treat. New York City was made for taking a night in a hotel in Times Square! That’s what our family did! 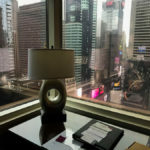 We found our stay at the Crown Plaza Time Square to be a fantastic experience. Not only did the gentlemen at the front desk give us an upgrade to a corner room with a panoramic view of Times Square once he saw we had kids, he also gave us extra food and drink vouchers to cover our entire family during our stay. We exchanged the vouchers to get a fresh espresso in the morning, snacks to take around the city, and even a heavily discounted breakfast buffet. Book your stay at Crown Plaza Time Square HERE. Is there a family friendly hotel in Las Vegas? One of the best city hotels for kids can be found in Las Vegas, Nevada in the United States. The city is known for its elaborate themed hotels, but not all of them are suited for children. Circus-Circus Hotel, however, is a rare exception. This hotel has an entire indoor amusement park inside its main building. Kids can ride roller-coasters over an artificial canyon under a gigantic glass dome. There’s also an outdoor waterpark full of slides, kiddie pools, and other water activities. The most defining attribute of the hotel, however, is its circus. Circus-Circus Hotel has free circus shows that any kid will love. The performances take place every hour throughout the day, and each show is completely different from the last. You’ll see acrobats, trapeze artists, ladder stunts, and unicycle tricks. It’s actually the world’s largest permanent circus. 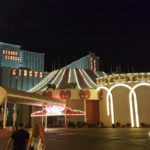 If you’re looking for a city hotel with endless fun and entertainment for kids, you won’t be disappointed by Circus-Circus in Las Vegas. You can learn more about the hotel as well as its circus shows at our guide to Free Shows in Las Vegas. Book your stay at the Circus-Circus Hotel HERE. Oh South America, South America, you are SOOOO high on my list. Before Rosie turns 10 we will come for you! 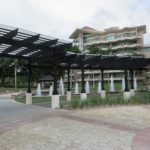 We loved our stay at the Hampton by Hilton in Panama City, Panama for so many reasons! First, and most importantly, it was very comfortable for our family of four. Our room wasn’t fancy, but it was a suite with two bedrooms and one and a half bathrooms – that’s right, we had the all-important extra toilet and sink! With two bedrooms, we had enough space to spread out and relax and it was easy to put the kids to bed and then read or watch a movie in our very own adult room. In so many places the extra space comes at a major price premium, but the Hampton by Hilton was extremely reasonable since we were staying for several nights! Our massive suite – with breakfast included – was less than $100 US per night. But the icing on the cake that made the Hampton such a wonderful place to stay is the swanky roof-top pool. We loved going for a night swim after a hot day out exploring, and from the top of the hotel we were treated to sweeping city skyline views. All in all, we couldn’t have asked for a better stay and we would definitely return to the Hampton by Hilton in Panama City. For more information on visiting Panama City with kids, check out our complete city guide. Book your stay at the Hampton by Hilton HERE. Location is the number one reason I love Park Plaza County Hall for holidays with kids. 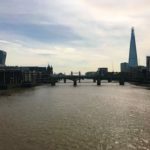 It’s a few minutes walk from the south side of the Thames and London’s busy Embankment. There you’ll find the iconic London Eye, the fantastic London Aquarium and the Shrek Experience. A short walk over Westminster Bridge and you can get up close to Big Ben and the Houses of Parliament. From the river you can also catch one of the ferries that will take you down to Greenwich or out to the Thames Barrier. The hotel is also very well placed for the enormous IMAX cinema near Waterloo station. It has the largest screen in Britain and shows kid-friendly films throughout the day. The Park Plaza also looks after families really well. Children under 12 stay and have breakfast for free when sharing a room with two adults. There’s a kids’ check-in (which includes a complimentary kids goody bag), family rooms and they’ll help you arrange activities such as pizza-making. The hotel won a Travellers’ Choice award in 2016, being 2nd in Top 25 Hotels for Families UK. Check it out! Book your stay at The Park Plaza County Hall in London HERE. Which was a totally lucky shot on Booking.com turned out the be a really great place to stay with Rosie. The Hotel Unic Renoir Saint Germain is located near 3 metro stations which are all only a 5 minute walk away. The rooms were more than I expected in a hotel in Paris and it was perfectly suitable for Rosie and me. One of the best things about the location was the fact that the hotel was surrounded by lovely crêperies which made dinner time a very easy and very lovely affair. Rosie of course had to make sure that there would be enough Nutella on hers and I ordered a delicious buck weat pancake with Duck Breast Fillet. Nom nom! For Rosie breakfast was free which was another very pleasant surprise. And breakfast wasn’t your usual Continental affair which is just bread and a Café au Lait. We enjoyed fresh fruit, yoghurts, a bread basket with pastries like Pain Au Chocolat and Croissants, cold cuts and cheeses and even scrambled eggs and sausages. We would def recommend Hotel Unic Renoir Saint-Germain in Rue Montparnasse if you want to explore Paris with your children. Jardin Du Luxembourg is just around the corner and became our favorite hang-out for our 3 days in Paris. Book your stay at Hotel Unic Renoir Saint-Germain HERE. The best family city hotel we have ever stayed in, and the one our kids still mention as their favourite, is the excellent Martinhal Family suites, in Lisbon. Located in the heart of the city, in the historical and dynamic district of Chiado, this hotel is unique in its proposition as it is the first elegant city centre hotel in the world (their words!) catering specifically for families with young children. Martinhal occupies a historical, beautiful building that has been recently renovated to the highest standard. They offer family suites and each is equipped with sleeping areas, fully stocked kitchen, bathroom and children facilities such as high chairs and stepping stools. The hotel has a restaurant on site and a kids club, as well as a really handy baby concierge service for the needs of younger families. The hotel is a high end option (5 stars) and is truly wonderful. Our kids received a welcome gift on arrival that included a toy and flip flops and quickly fell in love with the colourful décor and the fun kids club. As parents, we loved the city centre location and the stylish yet welcoming ambiance, something you don’t often find in family hotels.Book your stay at the Martinhal HERE. An excellent hotel catering for families in Barcelona is the Hilton Diagonal Mar, a 4 star hotel part of the Hilton group. The Diagonal Mar is located outside of Barcelona city centre, in the area of the ‘forum’ and it is well connected to the rest of the city by Barcelona’s excellent public transport system. The location is fantastic for families as it strikes a perfect balance between a quiet spot, away from the busy nightlife of the city, and accessibility to great services such as restaurants and shops, just across the road from the hotel. In term of the facilities, the hotel has spacious rooms catering for up to 4 people and has a good restaurant onsite with kids menu and an excellent breakfast buffet. During Spring and Summer, the hotel also opens its spacious terrace which boasts a kids’ swimming pool – a lifesaver during the hot Barcelona Summers! The hotel is proud of its family friendly proposition and can assist families in booking suitable attractions in town such as the Poble Espanyol or the aquarium. This hotel is not for families as such but caters so well for kids it is our hotel of choice for business and family trips to the city. Book your stay at the Hilton Diagonal Mar HERE. 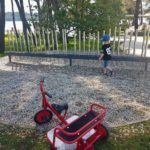 When it comes to finding the best place to stay with kids in Croatia, there are loads of options. But, you need to do your research as not all hotels are equal. Last year during our weekend trip to Rovinj in Croatia we stayed at the flawless Family Hotel Amarin, Rovin, and I guarantee no member of your family will be disappointed by this Croatian family hotel. The Family Hotel Amarin is a beach-front hotel, located on a very lush and green peninsula jetting out to the sea. 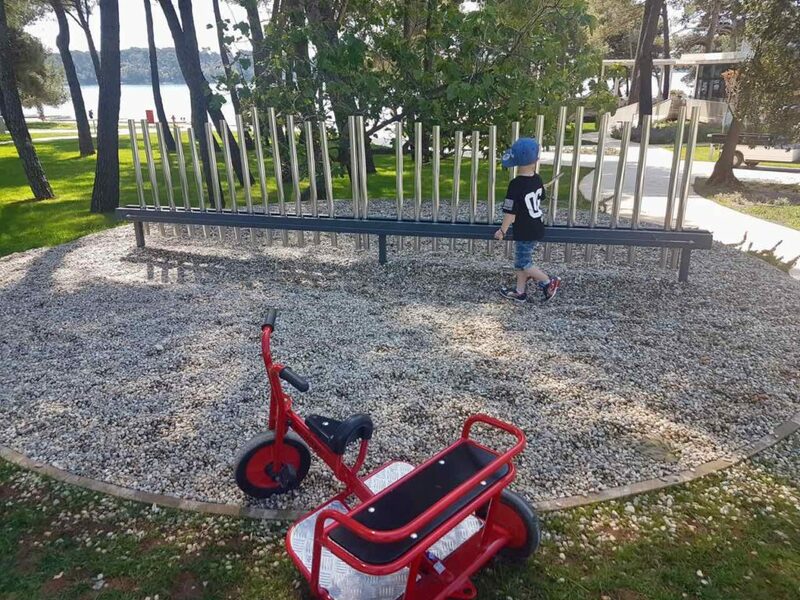 The hotel offers a free shuttle service to and from Old Town Rovinj making day trips with the kids super easy. The Amarin Hotel has everything you need. Their facilities include 3 outdoor swimming pools, an indoor pool and a stack of things to keep the kids occupied. Activities like a dedicated kids club, outdoor spaces to roam, an outdoor play area, and several restaurants and bars on site. More good news is that the hotel’s WiFi is lightening fast, so when it’s screen time the kids can stream any movies hassle-free. Book your next stay at the Family Hotel Amarin in Rovinj HERE. Atlantis The Palm Jumeirah is one of those fantasy destinations it’s hard to believe really exists. Included with your hotel room you get access to not only the hotel’s extensive pools and leisure facilities, but the adjoining Aquaventure Theme Park – arguably one of the best water parks in the world – and the giant aquarium the Lost Chambers. You won’t be short of a meal with more than a dozen dining choices to choose from to suit all those different when travelling with kids! Kaleidoscope all day dining restaurant delivers far more than your normal resort buffets – I mean who doesn’t love a chocolate fountain for breakfast? When you all need a bit of me-time, take advantage of their Kids Club, or the Zone for your tweens an teens. Little ones will love the Pirate Playground, or simply take advantage of the beach club or pools, all overlooking the iconic Palm Jumeirah. Family rooms here consist of Ocean or Palm side views for standard rooms that can sleep up to 4, or for a truly luxurious treat upgrade to a family suite. A truly iconic way to spend your time in Dubai, you won’t want to leave your hotel! 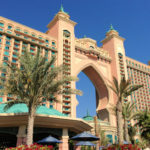 Book your stay at Atlantis The Palm HERE. You will find it hard to believe you are situated only minutes away from the high rises of Abu Dhabi when you enter St Regis Saadiyat. As well as luxurious family rooms and interconnecting options, the hotel has extensive leisure facilities including three temperature controlled pools outside, two indoor pools, squash courts and extensive spa facilities. We love the Sand Castles Kids Club, exactly what you expect of a luxury resort where the kids are probably having more fun than you are! 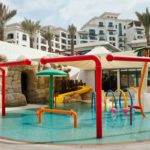 Their program involves indoor and outdoor recreation activities as well as one of the most comprehensive hotel splash areas you’ve seen, perfect for the hot climates of the Middle East. The highlight though is staying on the pristine white sands of Saadiyat island, facing directly on to the Arabian Gulf. No artificial islands here this is genuine beach front, home to native Hawksbill turtles, and sometimes even dolphin spotting off the coast. Saadiyat Island is also the new culture district of the city so you will find nearby the Louvre Museum, Abu Dhabi, an absolute must for visitors. As a finishing touch, we love the St Regis personal butler – yes that’s right! Far more than a normal hotel concierge they are there ready to hep with your every family need so you an have the perfect relaxing city break. Book your stay at the St Regis Saadiyat HERE. The Sukosol Bangkok is a great hotel for kids right in the middle of Bangkok where your family will feel right at home. This 5 star hotel has many facilities including a great pool gym, multiple restaurants and shops. Where it really excels for families, however, is their Mini VIP program especially for kids. There are special family rooms and on check-in kids get a toy and an activity kit including things like coloring in books and pencils as well as a special card where they can collect stamps around the hotel. The family rooms have many special features including child size slippers and gowns and special kid toiletries and you can also access baby gear like bottle warmers and baby baths. There is also the possibility of borrowing a DVD player and DVDs. When you want to leave the hotel, its just a couple of minutes walk from a sky train station making it easy to get around. There are also many shops and restaurants in the vicinity. Book your stay at The Sukosol Bangkok HERE. We think the Grand Hyatt Beijing is the perfect luxury city hotel for families as they really catered for our every need. From high quality baby dressing gowns and baby toiletries to having a resort feel pool which would be any child’s dream. The rooms are spacious and they do offer suites which are perfect for larger families who want separate living and sleeping spaces – something which has become an essential on our travels! While the restaurants served high quality Chinese food, the staff were so accommodating with our little one and made us feel so welcome. The hotel is also in great proximity to all of Beijing’s major attractions which means that you aren’t dragging little ones out to far to get to the main sites of the city! It is also connected to a mall which is great for if you have forgotten any vital baby supplies! If you want to experience a luxury and family friendly city hotel then the Grand Hyatt Beijing is a sure fire hit for families! Book your stay HERE. 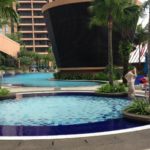 Kuala Lumpur is one of my favourite destinations with kids and part of the reason is this fabulous hotel, the Berjaya Times Square Hotel. Located above a massive shopping centre, this hotel already has an advantage. You just need to catch an elevator down to be in this shopping centre with over 1,000 retail outlets. It makes meal time easy as there are a crazy amount of restaurants and there are also fun activities with a cinema, bowling and the second largest indoor theme park in Asia. Berjaya Times Square Theme Park is perfect for all ages with an area full of rides perfect for preschoolers as well as more thrilling rides and a big roller coaster. The hotel itself has the biggest pool area I have ever seen in a city hotel as well as two kids’ pools and a playground. The hotel rooms are also very family friendly with the cheapest room type being more like an apartment with separate living area and kitchenette. There are also two bedroom apartments meaning there are great options for families. The hotel is also very centrally located in Kuala Lumpur and has an attached monorail station which makes getting around very easy. Book your stay at Berjaya Times Square Hotel HERE. At first we were a bit overwhelmed by the sensory overload of Hanoi, so many sights, sounds and smells. It’s such a vibrant and colourful city with an absolutely ridiculous amount of scooters and strangely enough it really started to grow on us as we stayed there longer. We stayed in a few different hotels in Hanoi and the Rising Dragon Villa Hotel was definitely the nicest. 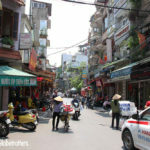 Great location in Hanoi’s Old Quarter, only about a 10-minute walk to Hoan Siem Lake. The staff is incredibly friendly and helpful. Our room was very clean and spacious enough to put our son’s toddler travel bed next to our double bed. The shower was in the room, separated only by a glass wall. This made it a bit awkward using the bathroom at night, but overall we really liked this hotel. Triple rooms and family suites are also available at the Rising Dragon Villa Hotel. Our little boy loved the breakfast buffet, which was well stocked with both Asian and Western food and delicious fruits. Book your next trip to the Rising Dragon Villa Hotel HERE. My favorite kid-friendly city hotel is The Empire Hotel & Country Club in the capital city of Brunei, Darussalam. Tucked away on a beach-front, this hotel has everything you can probably think of while going on a city trip with kids. My kids just love to play in the children’s pool and run wild in the luscious landscapes. During weekends and holidays, the hotel authorities regularly run supervised kid-activities like kayaking, swimming and other water sports. The exclusive kid’s pool with fun slides and play area is an ideal place for the whole family to sit and unwind while watching kids slide into the pool. The hotel complex comprises of a Cineplex, a lagoon beach, plenty of indoor and outdoor swimming pools, bowling alley, a kids-only bowling area, golf course, high-end gym, tennis courts, spa, restaurants with various cuisines, resort facilities and plenty of children’s sports arenas. For us, going to The Empire Hotel assures fun filled holidays with bowling, movie, swimming, sports and scrumptious food. Book your next holiday to Brunei HERE. The best family hotel in Cape Town is definitely The One & Only Hotel in the V&A Waterfront. This hotel takes kids friendly to a whole new level with a kids club that takes kids on curated excursions. 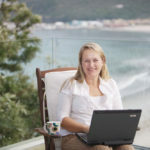 The One & Only Hotel is situated next to the Aquarium and in proximity of the CBD and access to the Table Mountain Cable Way. Don’t forget to explore the lovely art galleries. All art is created by children from vulnerable backgrounds. All hotels are suites and the most spacious hotel rooms in Cape Town. The pool area is the largest hotel pool in Cape Town and for the exhausted parents there is an incredible spa. The restaurants offer kids activities like making your own cupcake or pancake. Many restaurants are in walking distance from the hotel and we’re quite sure that you will be kept busy. Book your holiday at The One & Only Hotel HERE. 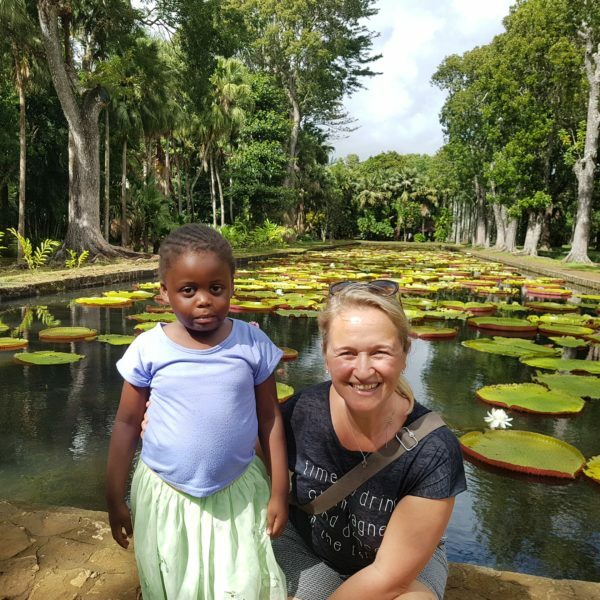 Would you like to take a city trip to Kampala-Uganda with your kids but not sure which hotel will be perfect for your family? Located in one of the high end suburbs of Munyonyo, is Speke resort, a 5 star hotel in Uganda offering a luxury hotel experience, one you would call a home away from home just 30 minutes away from the hustles and bustle of Uganda’s Capital, Kampala. So after your day in the city you will find a peaceful place to unwind for the night and get ready for the next day of exploration. It’s location at the shores of Lake Victoria creates an exciting urge to go for a boat cruise with the family. And overlooking the lake are the huge gardens with palm trees making it an ideal play area for the kids. Book your stay at the Speke Resort HERE. Melbourne has a lot of accommodation options but one of the best for families is the Pegasus Apart’Hotel. Not only is it well located just north of the CBD and near a large park it’s fantastically set up. The unusual name comes from the fact that this is a combination of serviced apartments with most of the aspects of a regular hotel. This means you get to stay in a spacious apartment with features like a kitchenette and get the facilities of a quality hotel, too! Once outside the apartment it was like any other good hotel with room service, a restaurant, a gym and a pool with spa. It’s the family apartments that really make this place so great, though. 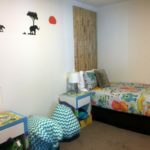 Bright and colourful two bedroom apartments with one bedroom decked out for kids with a play station, beanbags and toys as well as a good sized lounge room means there’s more to occupy kids than a normal room. Plus a lot more space so you’re not all on top of each other. Book your stay at the Pegasus Apart’hotel HERE. We recently stayed at the Primus Hotel in Sydney CBD with our three-year-old son. We weren’t sure whether he’d enjoy five-star luxury, but he absolutely loved every minute of it. The Primus only opened in 2015, in a beautiful Art Deco building that used to be home to the Sydney Water Board. We opted to stay there because of its proximity to some of the Sydney attractions for kids, with Darling Harbour ten minutes in one direction and the Australian Museum the same distance the opposite way. We were also mindful of the need to have quite a bit of downtime at the hotel so that we didn’t tire the Little Man out. The Primus has a rooftop pool, surrounded by skyscrapers. Ideal, we thought. The food and service were impeccable throughout our stay, but the pool was the clincher. He spent around three hours a day splashing away, loving every minute of it. We’d go back in a heartbeat. Book your stay at The Primus HERE. In which wonderful city hotel have you stayed in the world? 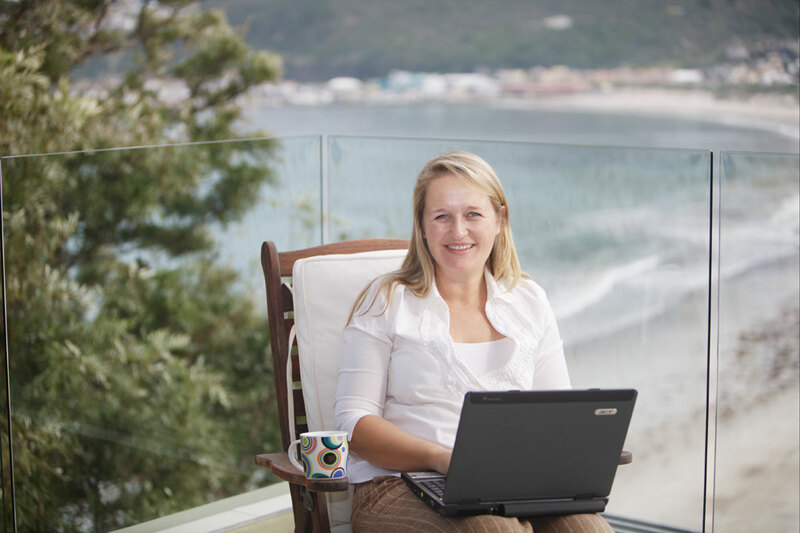 Jessy has over 15 years of experience in the travel industry. She completed a post-graduate at Harvard University Extension School in Sustainable Management of Tourism Destinations and is currently enrolled in a transformational leadership program which offers a creative solution to the education crisis in South Africa. Jessy is the proud mother of Rosie and together they love to design and go on solo parent adventures. They currently live in Cape Town, South Africa.